Jean Winsor spends much her day applying for jobs online. The loss of federal unemployment benefits will force her to sell furniture to make her mortgage due Jan. 1. Jean Winsor sits in the dark in her home, wearing extra layers to keep warm. That's because Winsor is terrified of running up her electric and gas bills just as she stops receiving her unemployment check. She is among 1.3 million who will lose federal jobless benefits next week, when the program expires on Dec. 28. If her twice-monthly $500 check doesn't come in, Winsor says she will have to resort to selling her living room furniture to make her mortgage payment of $461 on her home in Shinglehouse, Pa.
"I've not been unemployed like this," said Winsor, 49, who applies for dozens of home health care jobs daily. "I'm just so overwhelmed." So, for Christmas this year, her seven grandsons will get homemade quilts she sewed from pieces of cloth a friend gave her. Congress passed a budget that did not extend the recession-era federal government program that fills the gap when state unemployment insurance runs out for workers who can't find jobs. The program's lapse will hurt an additional 850,000 workers who will run out of state benefits in the first three months of 2014. The federal benefits program was first signed into law by President George W. Bush in June 2008, back when the jobless rate was 5.6%. The unemployment rate climbed to more than 10% at the height of the Great Recession in 2009, and the government extended or expanded the federal benefits 11 times into the weak recovery, most recently on Jan. 2. However, the most recent monthly jobs report suggests the economy is growing stronger and the unemployment rate fell to a five-year low of 7%. It also showed that some of the long-term unemployed are getting jobs. Winsor hopes to be one of those. She lost her job as a home health care aide in February, after working for 12 years taking care of a woman who moved into a nursing home. 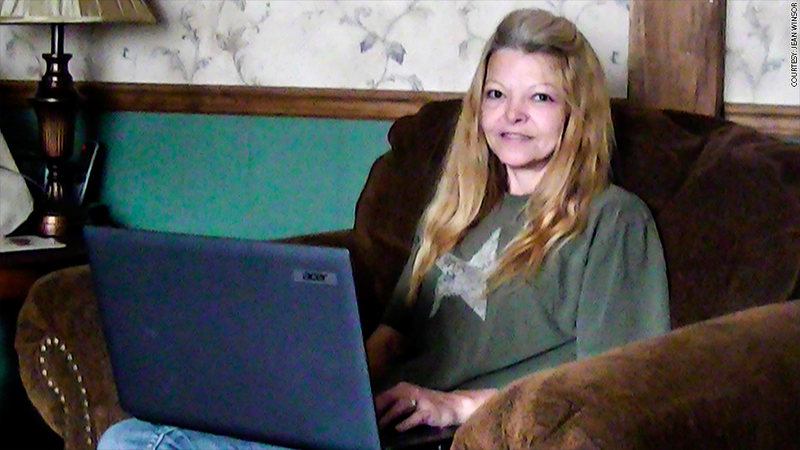 If Congress extends federal help for the jobless, her benefits would last until February. She's working on getting a certificate at the U.S. Career Institute that could help get her a job in medical accounting. In the meantime, the windshield on her car cracked recently. "My windshield looks like a great big smiley face," she said. "I just used my food stamps to go buy sugar so I could bake cookies to get through this."